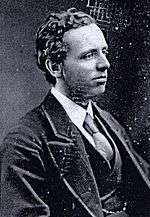 Henry Edward Armstrong FRS FRSE(Hon) (6 May 1848 – 13 July 1937) was an English chemist. Although Armstrong was active in many areas of scientific research, such as the chemistry of naphthalene derivatives, he is remembered today largely for his ideas and work on the teaching of science. Armstrong's acid is named for him. Armstrong was born the son of Richard Armstrong, a commission agent and importer, and Mary Ann Biddle. He lived most of his life in Lewisham, a suburb of London. After finishing school in 1864 at age 16, he spent a winter in Gibraltar, with a relative, for health reasons. In the spring of 1865, Armstrong returned to England and entered the Royal College of Chemistry in London, now the department of chemistry at Imperial College. Chemical training in those days was not lengthy, and at the age of 18 he was selected by Edward Frankland to assist in devising methods of determining organic impurities in sewage. Armstrong pursued further studies under Hermann Kolbe at Leipzig, earning a Ph.D. in 1869 for work on "acids of sulfur." He returned to London and worked under Augustus Matthiessen in the medical school of St Bartholomew's Hospital, in charge of chemistry classes for students taking the London degree. A permanent appointment in 1879 at City and Guilds of London Institute, now also a part of Imperial College, followed. At age 36, Armstrong became Professor of Chemistry at yet another Imperial College precursor, the Central Institution in 1884. It was here that he established a three-year diploma course in chemical engineering, "seeing the need for a more scientific attitude of mind among British industrialists"
He had already started on the systematic synthesis, degradation, and structural constitution of many naphthalene derivatives in 1881, building on earlier work on benzene derivatives and Erlenmeyer’s proposal for the structure of naphthalene. W. P. Wynne was his most important collaborator; their 263 naphthalene samples, accrued over several decades, are now preserved at Imperial College as the Armstrong-Wynne Collection. This research on naphthalene gave much impetus to the synthetic dye industry. Armstrong's later researches dealt with terpenes, particularly camphor, with water purification, helping to eradicate typhoid fever, and with crystallography. In 1887, Armstrong became interested in classifying substituents of benzene in terms of their meta- and ortho-para directing influences. It was in a footnote to an article on that theme in 1890 that his centric formula for benzene first appeared. His six affinities acting within a cycle predated both the discovery of the electron and modern theories of aromaticity. Armstrong recognised that affinities have direction and are not merely point particles, and so he might be said to have anticipated parts of the wave mechanical theories of the 1920s. He died at his home in Granville Park, Lewisham. Armstrong married Frances Louisa Lavers in 1877. 1 2 3 Keeble, F. W. (1941). "Henry Edward Armstrong. 1848-1937". Obituary Notices of Fellows of the Royal Society. 3 (9): 229–226. doi:10.1098/rsbm.1941.0001. ↑ Senning, Alexander (2007). Elsevier's dictionary of chemoetymology. Elsevier. p. 30. ISBN 978-0-444-52239-9. ↑ Rodd, E. H. (1940). "Henry Edward Armstrong". Journal of the Chemical Society: 1418–1439. 1 2 3 "Prof. H. E. Armstrong". Obituaries. The Times (47736). London. 14 July 1937. p. 16. ↑ Underwood, A. J. V. (1965). "Chemical Engineering - Reflections and Recollections". Transactions of the Institution of Chemical Engineers. 43: 302–316. ↑ Armstrong, Henry E. (1887) "An explanation of the laws which govern substitution in the case of benzenoid compounds," Journal of the Chemical Society, vol. 51, pages 258-268. Armstrong's "centric" model of benzene appears on page 264. Eyre, J. Vargas (1959). Henry Edward Armstrong. 1848-1937. The Doyen of British Chemists and Pioneer of Technical Education. Toronto: Butterworth and Company. Rodd, E. H.; Berger, W. E.; Jones, I. G.; Robinson, C. H. (1940). "Obituary notices: Henry Edward Armstrong, 1848?1937; Alfred Berthoud, 1874?1939; Oliver Gatty, 1907?1940; Percy George Mander, 1881?1940; Frank Thomas Shutt, 1859?1940". Journal of the Chemical Society (Resumed): 1418. doi:10.1039/JR9400001418. Armstrong, Henery E. (1884). "On the Teaching of Natural Science as a Part of the Ordinary School Course, and on the method of Teaching Chemistry in the Introductory Course in Science Classes, Schools, and Colleges" - Address for the Proceedings of the International Conference on Education, London. Armstrong, Henry E. (1884). Introduction to the Study of Organic Chemistry: The Chemistry of Carbon and its Compounds (4 ed.). London: Longmans, Green, and Company. Armstrong, Henry E. (1903). The Teaching of Scientific Method and Other Papers on Education. New York: Macmillan and Company, Ltd.
Armstrong, H. E. (1925). "The First Epistle of Henry the Chemist to the Uesanians". Journal of Chemical Education. 2 (9): 731. doi:10.1021/ed002p731. Armstrong, Henry E. (1927). Art and Principles of Chemistry. London: Ernest Benn Limited. Wikimedia Commons has media related to Henry Edward Armstrong.